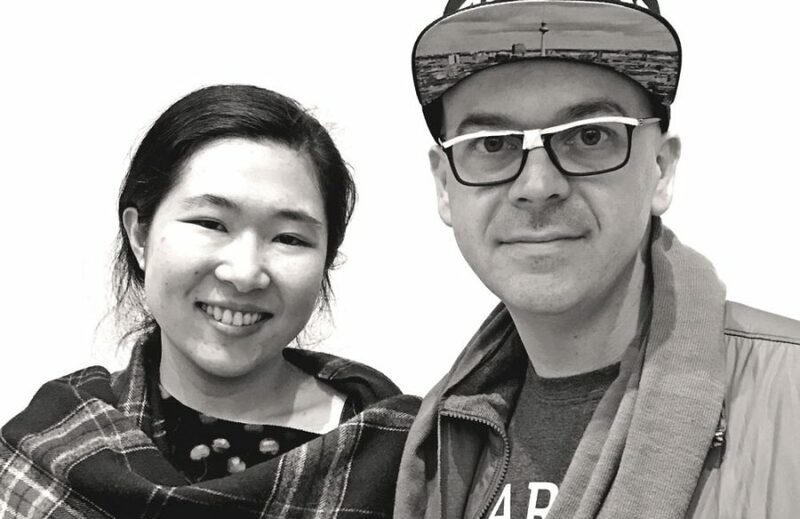 Luke Schantz and Mariko Kosaka will be the AAC Innovators-in-Residence for 2017 and will participate in the collaborative Penn State Abington – Abington Art Center Innovation Program. The Innovators-in-Residence will utilize the new Innovation Center at AAC to work on projects that will be shown to the public as works-in-progress during the course of the residency. They will provide mentorship to PSA and AAC artists and students. Luke Schantz is a multi-disciplinary technologist whose work spans artistic, technical and business ventures. His own practice primarily engages collaborative, creative projects. Currently he is a technology-maven with the IBM Global Entrepreneur Program, providing technical mentorship to startup businesses. Previously, Luke spent five years working with the Blue Man Group. His creative innovations for Blue Man have been seen by millions of people worldwide. He is a featured influencer for technology brands such as Makerbot and 3D Systems. Mariko Kosaka is a creative programmer who explores the physical world with code. Her work addresses the intersection between machines and artifacts. For the past three years, by employing her hacked knitting machine as a template, she has been creating code programs and hybrid tools for artists to create computational craft works. Her own work includes projects such as Sweaterfly, a java-script knitting program that provides a tactile understanding of machines.